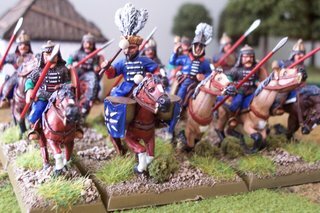 Essex Miniatures on Elite Miniatures horses painted as Lithuanian Pancerni with light lance, large saddle clothes added with Green stuff. 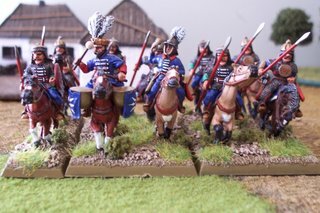 The 2 varient rank and file figures are from the Muscovite range, kettle drummer is from the Polish range and the officer comes from the Ottoman Turk range. 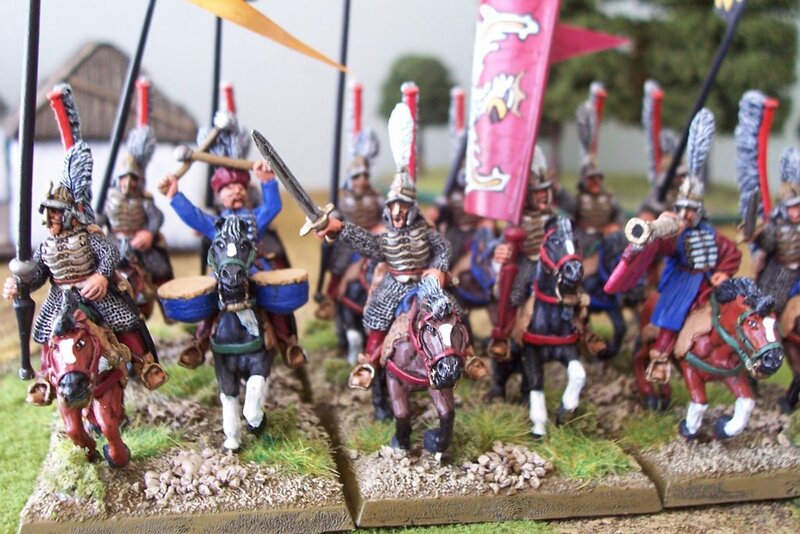 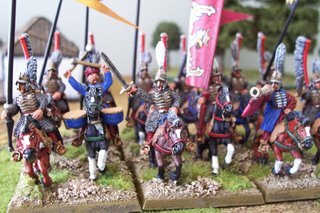 I have 4x12 units of Essex Miniatures Muscovite cavalry on the painting desk at the moment (on 1st Corps horses) as well as 2x12 units of Old Glory Muscovite cavalry. The bottom picture shows another view of the Polish Winged Hussars (can never have enough).